One of the most difficult things in mounting a campaign for President is complying with ballot access laws that vary widely from state to state. To get on the primary ballot, some state (or state party organizations) require presidential candidates to obtain a certain number of signatures from registered voters state-wide, by congressional district, by county or of some combination thereof. The heftier the signature requirements are the more difficult it is to get candidates on the ballot. That brings us to Virginia. 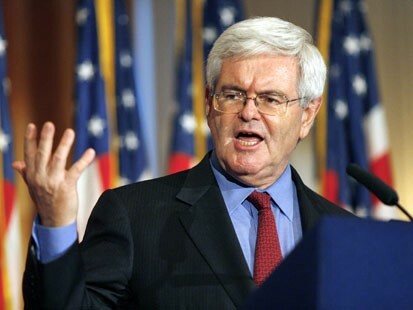 Former Speaker New Gingrich, from nearby Georgia, has led former Massachusetts Governor Mitt Romney in the two December polls done in the state, 41-15 and most recently 30-25. But Gingrich failed to secure enough valid signatures to qualify for the ballot in Virginia. Only former Massachusetts Governor Mitt Romney and Texas Congressman Ron Paul obtained enough valid signatures to qualify for the ballot. Here is a dirty secret about politics. Signatures on candidate petitions are often not checked. To check to see whether individuals who signed are registered voters is a very tedious process. Individuals might sign a candidate's petition several times, but they can only be counted one time. People may sign with fake names and/or addresses. Canvassers hired to obtain signatures, are often paid on a per signature basis, and thus have a tempting incentive to fake signatures. Or an overly enthusiastic supporter may decide to fake names to help the candidate qualify. Indeed that is exactly that happened here in Indiana with the petitions to get then candidate Barack Obama on the 2008 Democratic Primary ballot. It turns out that many of the signatures on Obama's petitions were (allegedly) forged, including that of former Indiana Governor Joe Kernan. Any audit of the validity of signatures on a candidate's petitions is going to knock down the count. The question is how much and whether the prospective candidate has enough of a cushion of signatures to survive the verification process. That is why if 10,000 signatures are required from a congressional district in a state, you don't submit just 10,500....you submit 13,000. There are currently many news stories and blog discussions about the Virginia presidential primary ballot access law. Some large blogs, such as Red State, have over 300 comments about the story. Some defend the current Virginia ballot access laws on the grounds that in past presidential elections, a fairly large number of Republican presidential primary candidates managed to qualify. But what has not been reported is that in the only other presidential primaries in which Virginia required 10,000 signatures (2000, 2004, and 2008) the signatures were not checked. Any candidate who submitted at least 10,000 raw signatures was put on the ballot. In 2000, five Republicans qualified: George Bush, John McCain, Alan Keyes, Gary Bauer, and Steve Forbes. In 2004 there was no Republican primary in Virginia. In 2008, seven Republicans qualified: John McCain, Mike Huckabee, Mitt Romney, Ron Paul, Rudy Giuliani, Fred Thompson, and Alan Keyes. Zionist warmongers for Gingrich can write in his name. This is nothing new to independent candidates seeking ballot access. Republicans and Democrats have been scrutinizing their signatures and denying them ballot space for decades.